Chicago’s McCormick Place is North America’s premier convention facility. 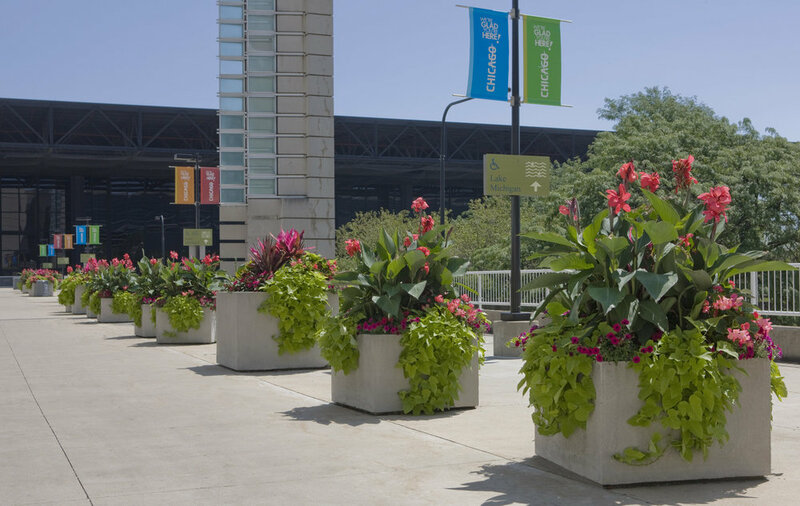 The landscaping of McCormick Place enhances the visual impact when visitors arrive at McCormick Place for the first time or the 10th time. The outdoor space is the first sight that welcomes attendees and vendors to this impressive event space. Changes in seasonal plantings keep the areas looking fresh and new, while the natural area create consistency. The continuous care of the landscape is critical to the overall experience of the guests.